80% Lean Ground Beef $1.99 lb. $5/$35 in current issue! On stands thru Friday. Tip - you can look thru the current issue HERE to see if there is a new coupon each Friday. 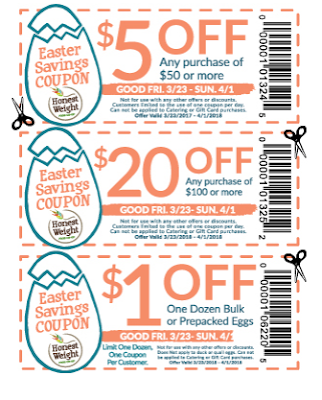 $5/$50, $20/$100 or $1/1 dozen bulk or pre packages eggs - Capital Region can use this at Price Chopper as a competitor coupon. 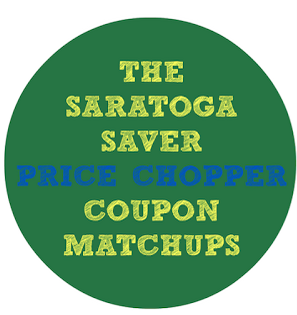 Competitor coupons will be accepted thru 4/22. Market 32 Boneless And Skinless Chicken Thighs Savings Pack - $1.99 lb. + saving star Save 40¢ on any TWO (2) McCormick® Gravy Mixes.Expires 4/22/2018.Save $0.40. + saving star Save $0.75 when you purchase ANY ONE (1) Select 22 oz Kozy Shack® Pudding. Valid on Rice, Chocolate, Tapioca, European Style, Cinnamon Raisin pudding. .Expires 4/25/2018.Save $0.75. Save $1.00 any ONE (1) Suave Professionals® Gold or Silver Hair Care product (excludes 2 oz. trial and travel sizes and twin packs).